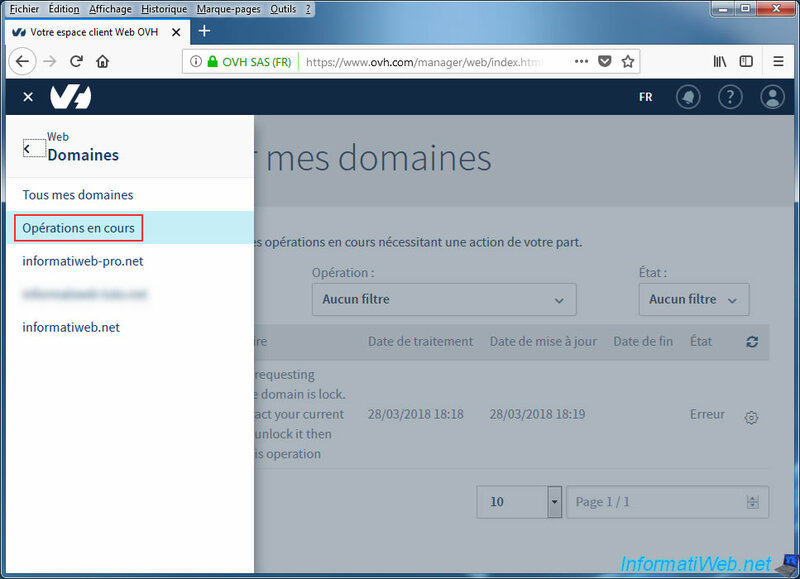 Several years ago, we explained how to transfer a .net domain from OVH to LWS.FR. 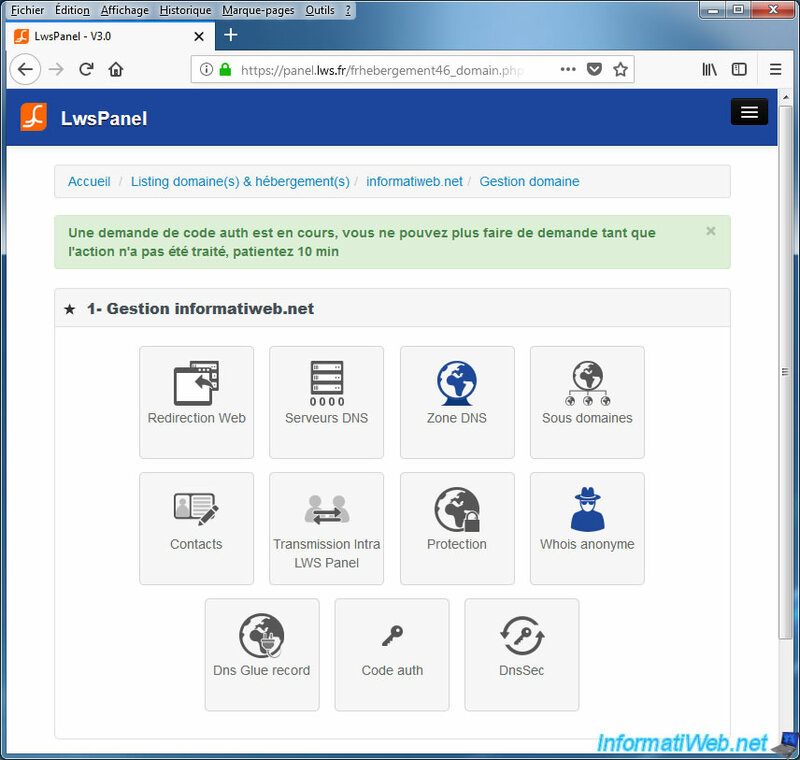 Recently, we had to change host, especially to enable SSL for free on our two websites : InformatiWeb and InformatiWeb Pro. 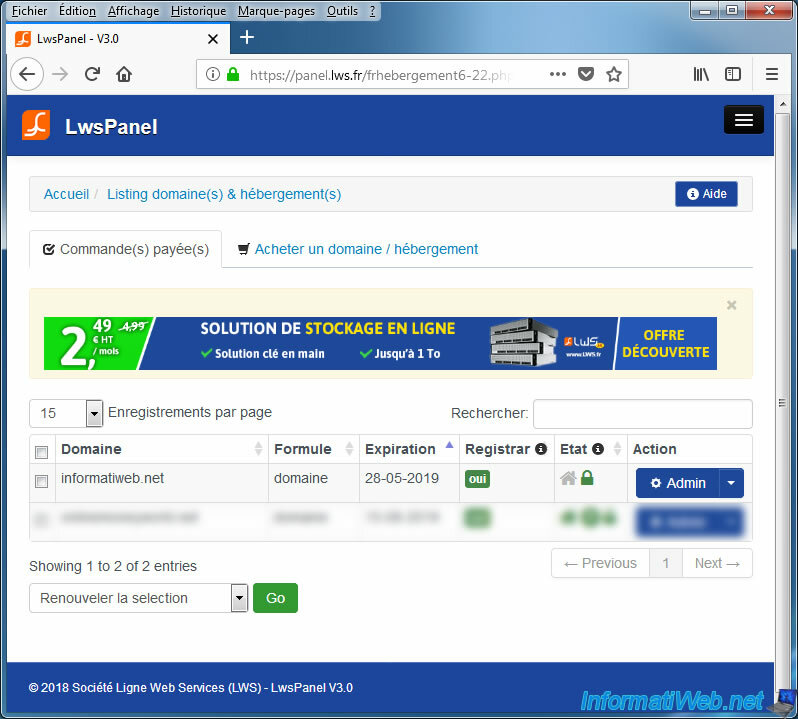 We have also brought our domains from LWS to OVH and this is an opportunity to show you, but in the other way. 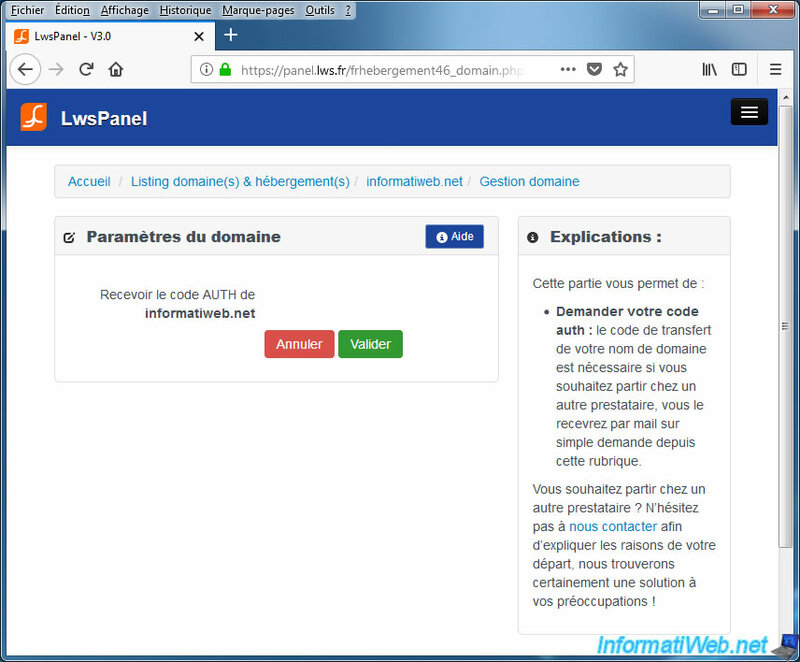 was at LWS : as confirmed by the column "Registrar : yes"
Click on the "Admin" button corresponding to the domain to be transferred. At LWS, you will first need to remove the transfer protection from it, as well as request a transfer code (AUTH code). Indeed, some providers will ask you for this code. To do this, click on the "Domain management" option. 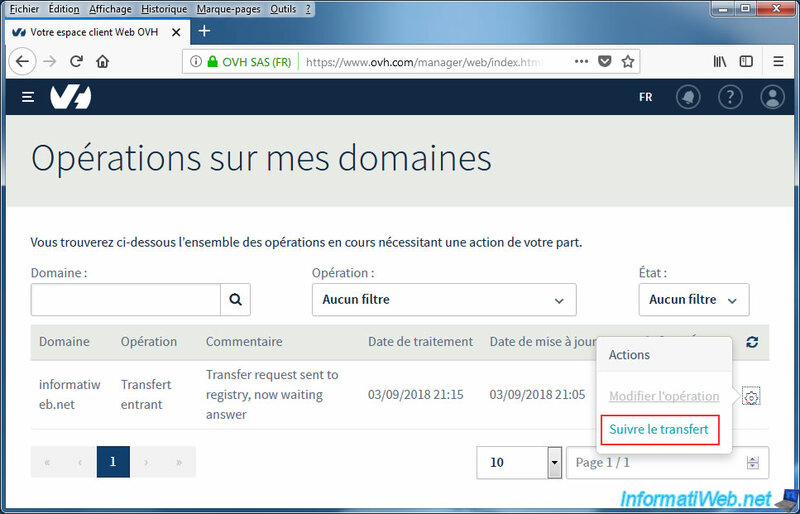 Select the "Disabled" option for domain protection (transfer) and click OK.
A protection request is in progress, you can not make a new request until the action has been processed, wait 10 minutes. 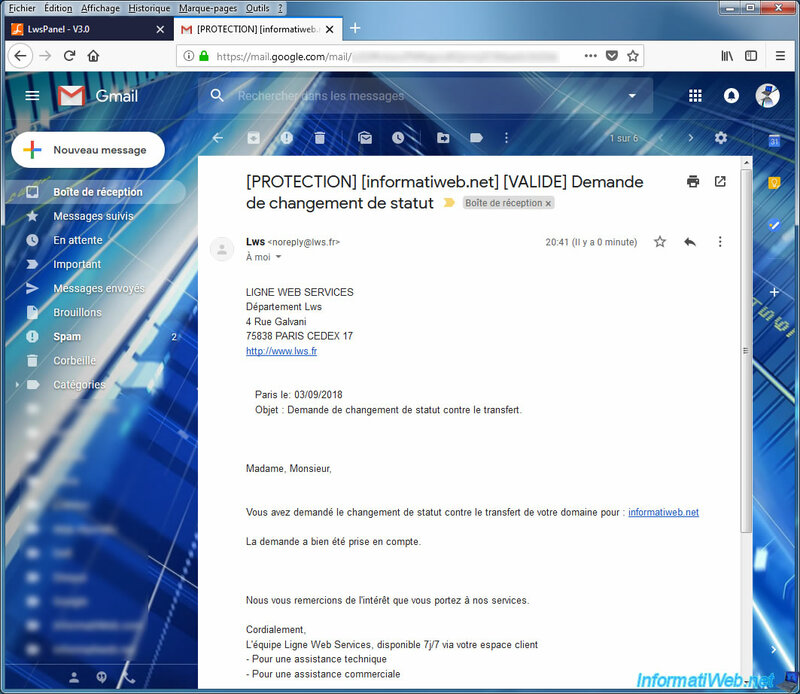 When the protection has changed status, you will receive a "[PROTECTION][domain name] [VALID] Change of status requested" email from LWS. If LWS tells you that the request has been taken into account, it's good. Then, in the domain management (still at LWS), click on "AUTH Code". An auth code request is in progress, you can not make a new request until the action has been processed, wait 10 minutes. 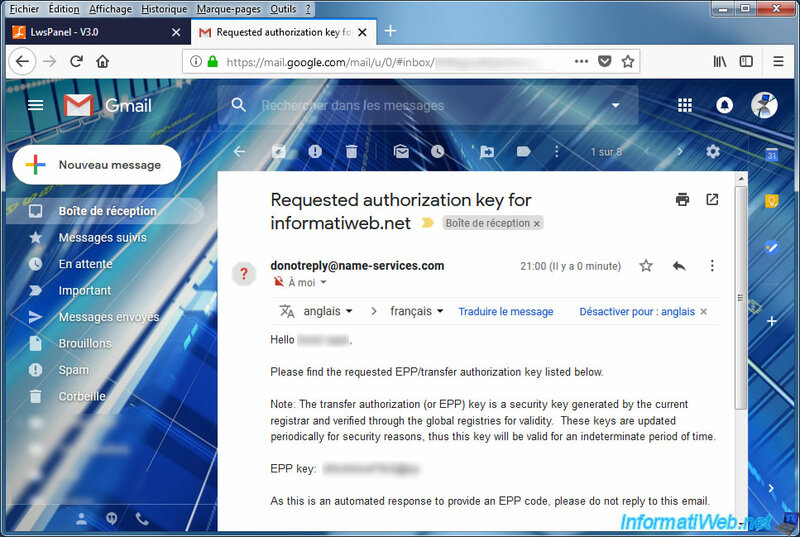 A little later, you will receive an email in English : Requested authorization key for [domain name]. 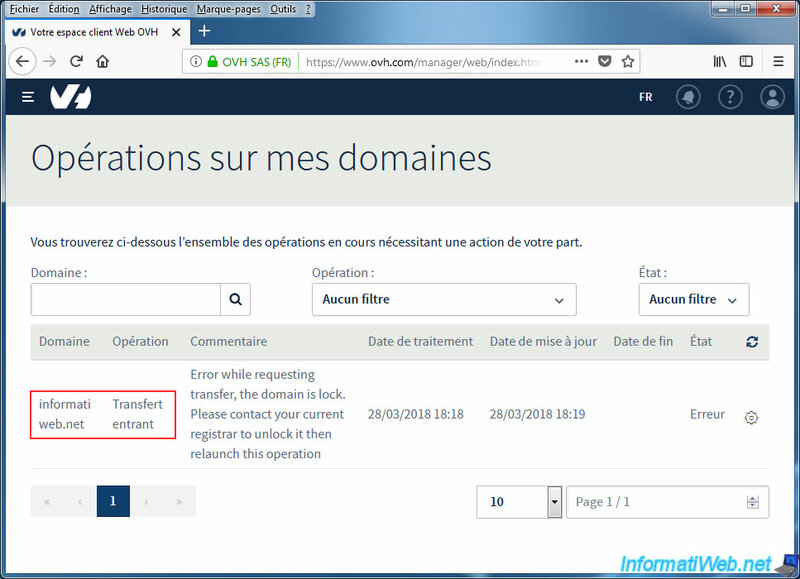 At OVH, if you have just bought the same domain or hosting for this domain at OVH, a transfer will have been initiated directly by them. It's therefore strongly recommended to do the above operations BEFORE buying again your domain from another provider. 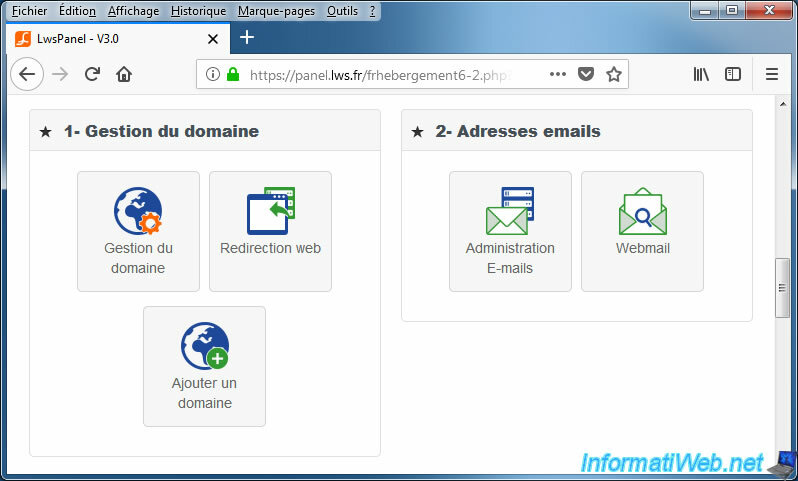 Log in to your OVH manager and go to : Web -> Domains -> Current operations. 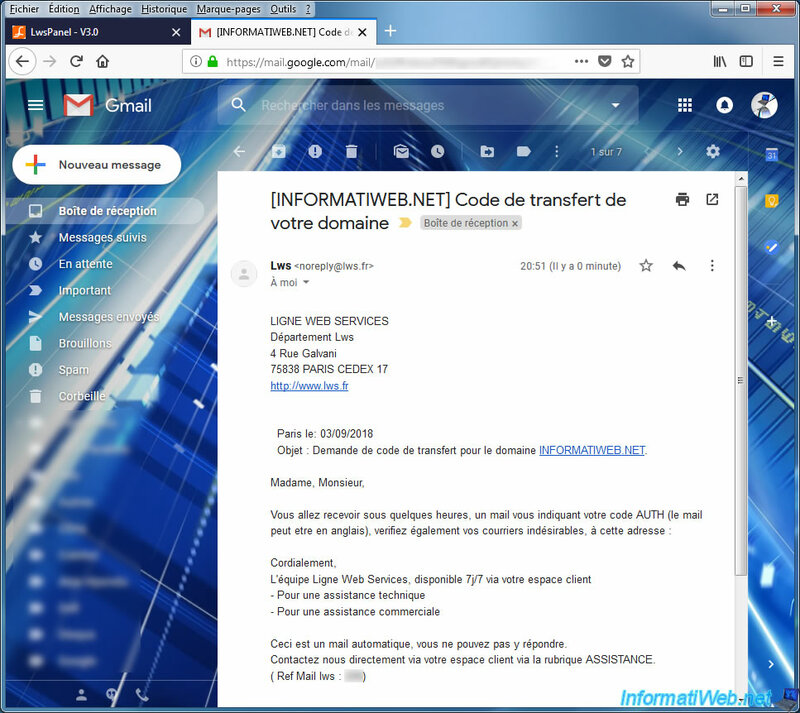 You should have a line regarding the transfer of your domain. 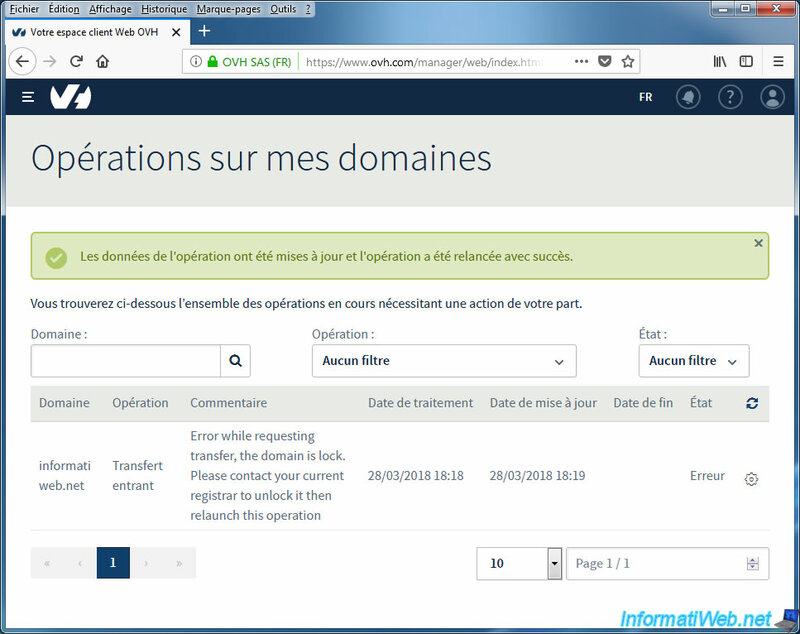 In our case, LWS had stupidly locked the transfer of our domain for 60 days because of a simple change in our LWS account. Hence the error that you can see on the image below. If you are in the same case, know that it's possible to simply restart the transfer by clicking on the gear, then on "Change operation". As OVH tells you, the operation was successfully restarted. Now, the status is : Transfer request sent to registry, now waiting answer. This means that OVH has sent a request to registries (those who manage all domain names, like ICANN for example) and is waiting for the response to transfer your domain to OVH. To track the status of your domain transfer, click on the gear and then click on "Follow transfer". 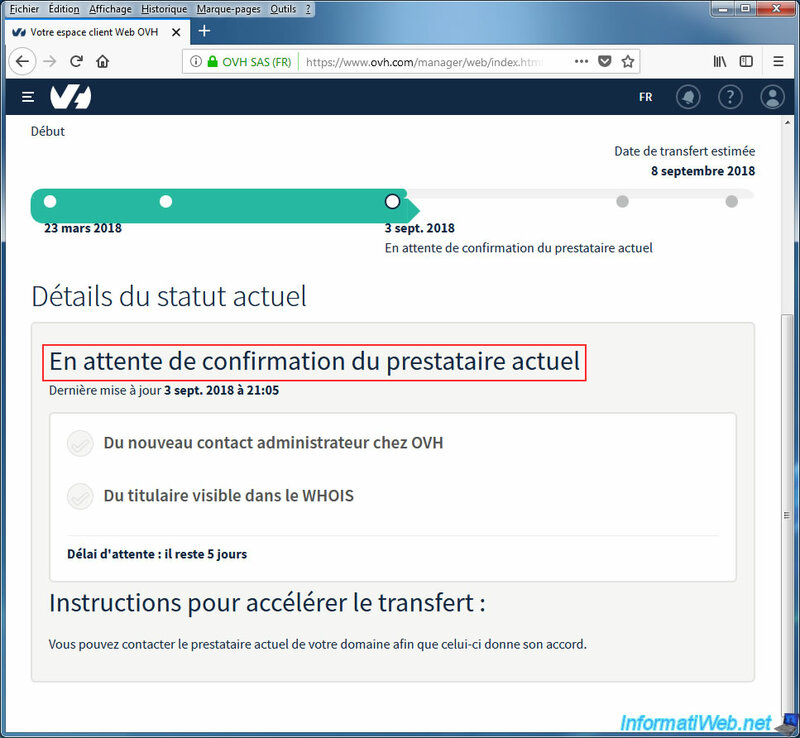 As you can see, OVH is currently waiting for confirmation from the current provider.